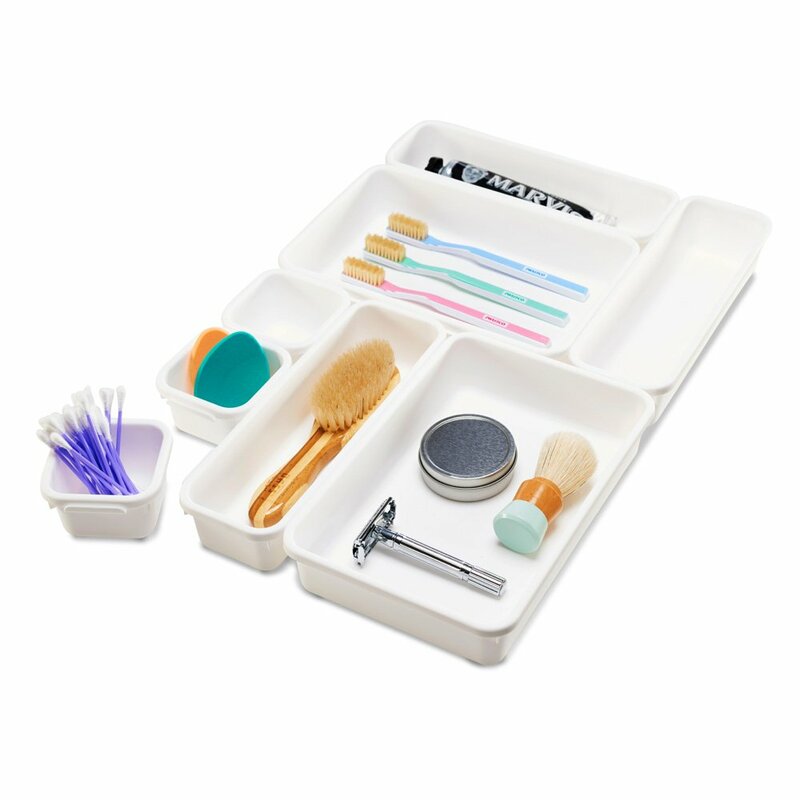 Solve those messy bathroom drawer problems once and for all with a bathroom drawer organizer. With an affordable bathroom drawer organizer, you can control any type of bathroom clutter. It doesn’t matter whether you need to organize your makeup collection, hair products, styling tools or basic hygiene essentials. Check out these affordable bathroom drawer organizer options that are all available at Amazon. This drawer organizer option is actually a set of six spring-loaded bamboo drawer dividers. They’re stackable and expandable, and that gives you a lot of freedom to use them however you need. It also means you can organize up to a few different drawers from just one set of dividers. The great thing about these is that you can also use them in any room of your home, not just the bathroom or kitchen. They make any drawer look instantly more classy! There’s nothing quite like the convenience of a stackable drawer organizer. You can grab the one with your cosmetics and lift it right out of the drawer and onto the counter. This gives you an added measure of convenience when you’re getting ready in the mornings. 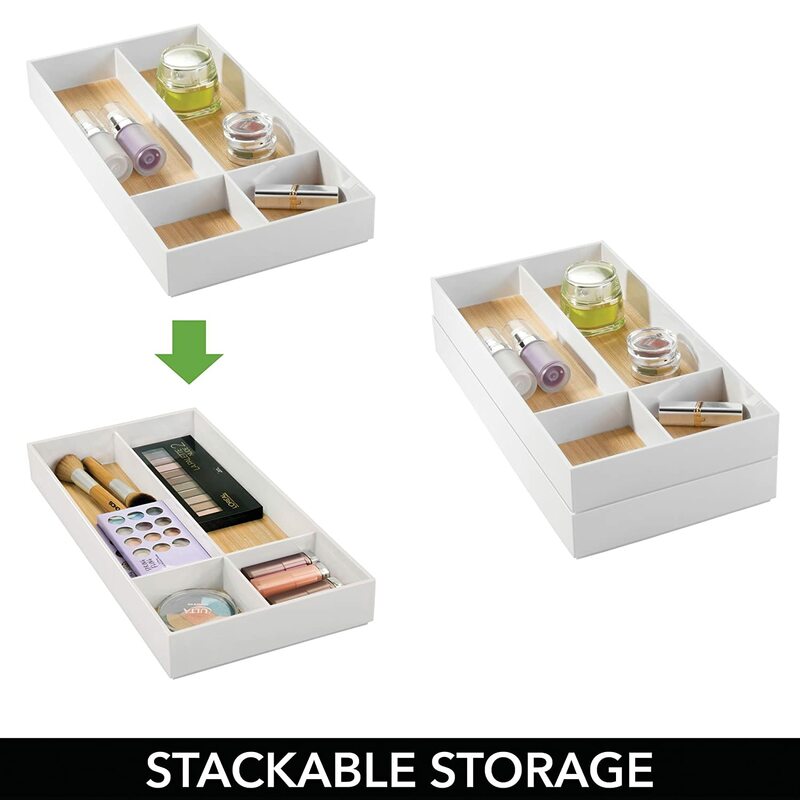 This organizer is made of shatter-resistant plastic and has wood accents that make it look extra stylish. The price is right at just under $18! 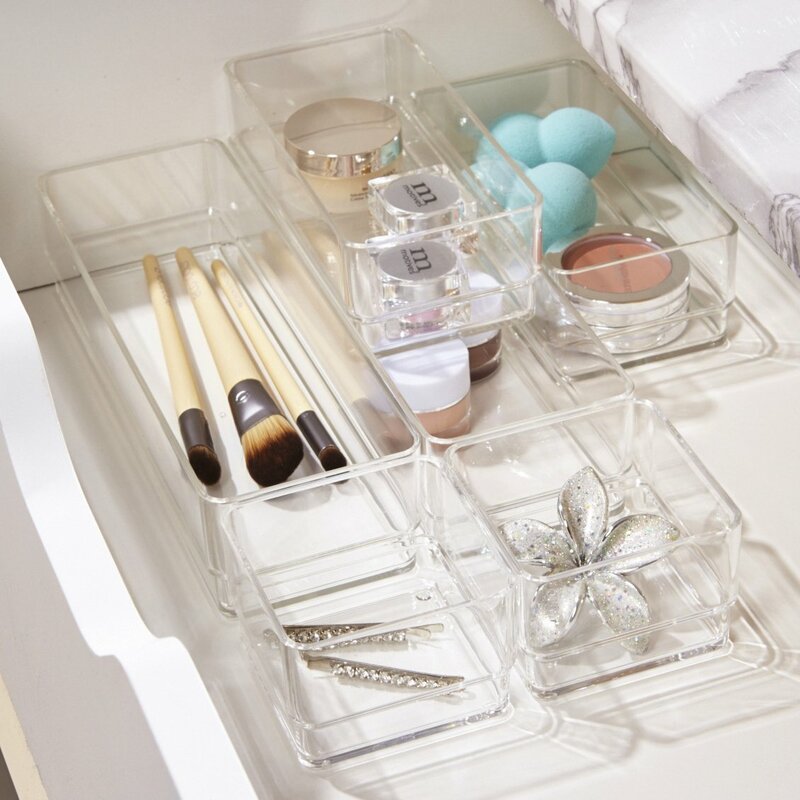 A six-piece set of clear plastic drawer organizers gives you the ability to clearly see what you want when you need it. Plus, there’s something about them that is almost elegant. 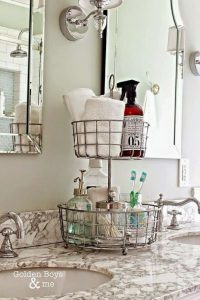 If I had these in my bathroom drawers, I’d work a little harder to keep everything clean and organized just so it would look pretty every day. How about you? For sheer value in a hard-working basic drawer organizer, you won’t go wrong with this 8-piece interlocking bin pack. I love that there are three different sizes that go together in a myriad of ways. 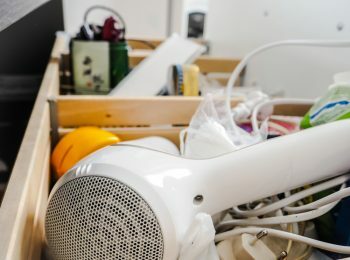 You can interlock the bins however you want to fit your specific drawer needs, and hold any number of different items cleanly. You’ll get the entire set for less than $9. Can’t beat it!